If you think your child might have an eye problem, don't wait, make an appointment! When my son was a baby, his regular doctor thought he saw a fleck in his eye and recommended he see an eye doctor. The eye doctor said everything looked fine except he had an astigmatism in one eye and should be checked when he is older. When he was 3, he got his first pair of glasses. We were told he should wear them when he is watching tv, playing on his tablet, reading books, etc... but not to wear them during play. When he was 4, I started to notice that his eye with the astigmatism was starting to drift up and out when he was tired. Then it started happening more frequently and I called the eye doctor with my concerns. She didn't want to wait for our recheck appointment, so we brought him in right away. She had bad news for us. His "bad eye" (with the astigmatism) was much worse and had turned into a "lazy eye" that was also farsighted now. He could only read the big E on the eye chart with his bad eye and he was seeing double sometimes. 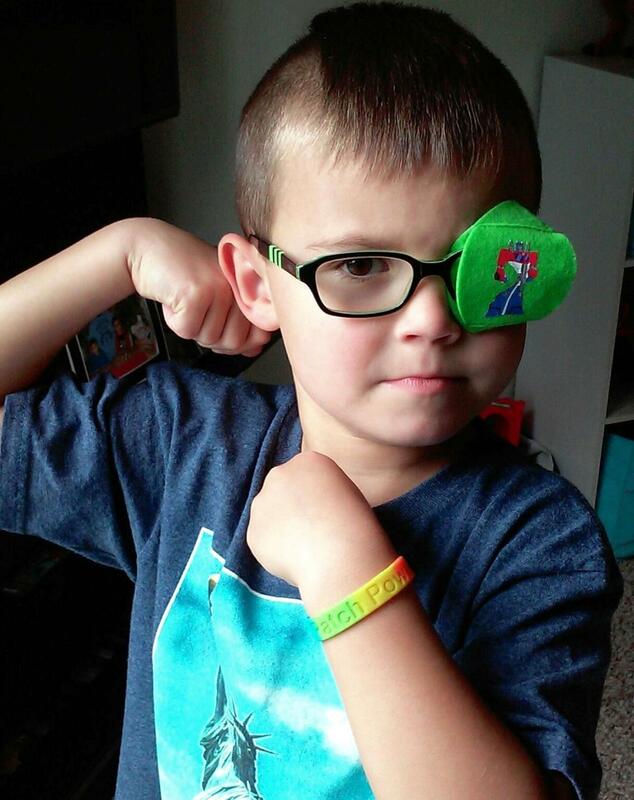 When we were told he had an astigmatism in just one eye, we were just glad he was ok. We didn't know all the implications it would cause him in the future. After he turned 4, and we got the news that he had developed Ambloypia due to his Astigmatism and that his vision had gotten much worse. We were devestated, sad, and full of questions. Our son use to constantly peek over the top of his glasses and he didn't like to wear them. It was a daily struggle. After a year of this, we let him pick a new pair of frames and then he never asked to take them off. Now our struggle is to find focus activities for him to do during patch time every day (1 hour). Always be proactive and do your research. If you think your child might have an eye problem, don't wait, make an appointment. Let your child help pick their glasses. Spend extra time shopping for them to make sure they are comfortable and it's VERY important to make sure the frames are large enough that they can't peek over the top. Try to make glasses and patching fun for them. We got our son transition lenses and we call them his "magic glasses" since the sun makes them turn into sunglasses. He was so exited when I surprised him with a patch in his favorite color and with his favorite character on it! Here is a photo of him. Thank you for letting us share with you.